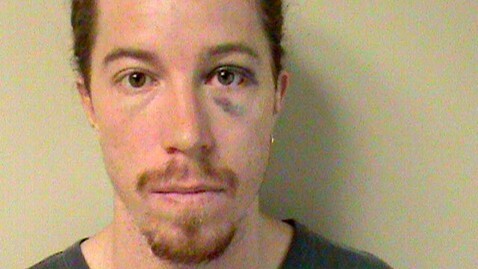 Shaun White, the two-time Olympic gold medalist and X-Games star snowboarder, faces charges of vandalism and public intoxication after his arrest at a hotel in Nashville, Tenn.
White, 26, reportedly pulled a fire alarm at the Loews Vanderbilt Hotel shortly after midnight Sunday morning, forcing the evacuation of all hotel guests. An employee also told police he saw White destroy a hotel phone. According to Nashville police, White attempted to flee the hotel in a cab, but "a citizen" at the hotel told the driver he was calling the police. White overheard the conversation, and allegedly kicked the person and ran away. "The citizen reported that he chased White until White turned and ran into him, apparently causing White to fall backwards and strike his head against a fence," the police report states. "White was transported to a local hospital for treatment." White was released from the hospital Monday afternoon, and is free on his own recognizance. The citizen involved in the altercation declined to press charges. The police report also says that "White appeared to be extremely intoxicated and smelled strongly of alcohol." The arrest warrants for vandalism and public intoxication were issued Sunday morning, after White refused to sign misdemeanor citations. White is the two-time defending Winter Olympic halfpipe snowboarding champion. He's also won 24 X Games medals in snowboarding and skateboarding.